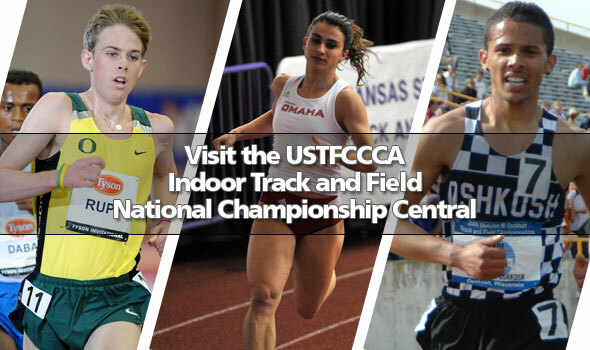 The U.S. Track & Field and Cross Country Coaches Association has setup Indoor Track and Field National Championship Central pages for all three NCAA Divisions. On the Championship Central page you will find links to the results, rankings, heat sheets, video streaming, and much more. The pages can be accessed by clicking on the division of your choice below. The links will take you directly to the divisional home page. The Championship Central will be located at the vey top of the page so you cannot miss it. If you have any questions or think something should be added, email Keith Nunez – keith@ustfccca.org.